Have Property Prices Really Reached The Limit? The Chief Executive of one of the UK’s leading estate agents has warned that months of rising property prices could be about to come to an abrupt end, and that ‘trouble in paradise’ was likely following a slump in buyer demand. 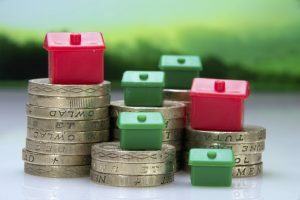 Despite these cautious comments house prices were up one per cent on the month and 12 per cent annually, although March’s property transaction figures fell by over 45% following a slowdown of activity in the buy-to-let market following a spike in completions as investors rushed to finalise transactions ahead of the stamp duty deadline. The latest figures also show that, in London, average property prices have increased 7% annually, a slower pace than the UK as a whole, although in North West London, prices have surged 23.3 per cent in just 12 months. Uncertainty over medium term property price predictions was also brought to the fore earlier in the month as part of the Brexit debate, with some economists and politicians painting a very gloomy picture if the outcome of June’s referendum is to leave the EU. With this in mind, many of our recent clients are looking to take advantage of the current low mortgage rates and fixing their home loan expenditure for the medium term, thus protecting themselves against any potentially adverse affects of Brexit. To speak Steve Padgham about your property finance or mortgage requirements, or to find out how to go about securing the best low-rate deal currently on the market six months ahead of your current deal ending, please call him on 020 8614 4782, or e-mail steve.padgham@fpgonline.co.uk.